Summary: A smooth tone with excellent mid-range great for use in both guitar and home audio amplifiers. JJ has upped their game with the new JJ EL34-II, and the design change is truly big enough to warrant the use of the new name. 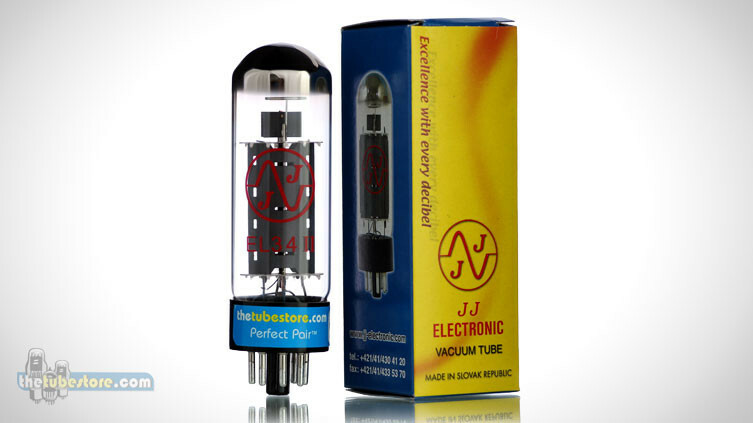 Many companies put an existing tube into a new bottle, but JJ has done the opposite. The familiar tall, dome topped bottle is still there but everything else has changed for the better. The new tube has a traditional EL34 plate structure but they have replaced the plate assembly with a slightly smaller unit that features crimped plates instead of spot welded plates. The crimping is clean and precise making a very solid and quiet assembly. The mica spacers are well formed and very secure. This looks more like something from Siemens than JJ. Listening to this tube was a bit of a surprise because I usually find EL34 tubes to be a bit soft sounding, and this tube is different. There seems to be a bit more life in this tube as compared to the previous model. I found there to be a really nice top end that is smooth and free from harshness, while still delivering a nice bit of sparkle. At the other end of the spectrum I found the bass to be very firm and clear with no boominess. 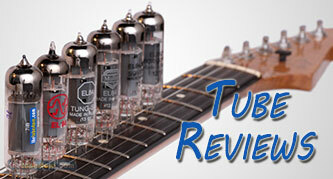 For guitar use the midrange is where the action is and this tube handles it nicely. I didn’t hear any honking Mids. It seems the design goal was to make something with broad frequency response that extends a little further than the standard JJ EL34. The closest sounding match would be the Tung Sol EL34B. This new tube has really earned the right to be labelled version II.